or being the best you can be. The OCO & Roberta Carpenter, Music Director, received 3rd place in the American Prize Awards for Recordings in the Arts for the OCO Debut Concert DVD. Click here for more information. New - Zenith Music International Logo Apparel from LandsEnd! You can now choose any item from LandsEnd and have your choice of the Zenith Studio Mountain Oval logo, or the Zenith Music International Z logo embroidered on the item. Click here for the link. Sullivan, Johnson Creek, Waukesha and violin & viola students at large. 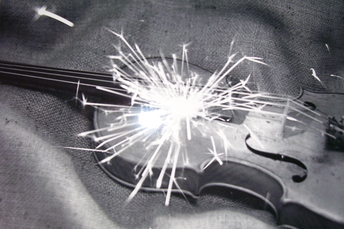 Click here for Studio / Violin Teaching info and Trifold. Click to see this recording in the American Prize Awards - Finals & Semi-Finals listings. 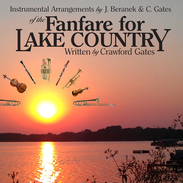 The Fanfare - Instrumental Arrangements Recording is now available in Download & CD formats. With Sharon Goodrum, piano. Available locally and online. 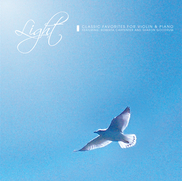 The CD was a Semi-Finalist in the American Prize Awards. serving Oconomowoc, Hartland, Pewaukee, Sussex, Merton, Wales, Delafield, Dousman, Watertown, Waukesha, WI, and Musicians at large.